Mensa Mind Games is an over-40-hour event where board games from all over the world are judged by 300 avid board game fans. The games are judged on numerous criteria, including the value for the price, their ease of play, and the entertainment value of the game. 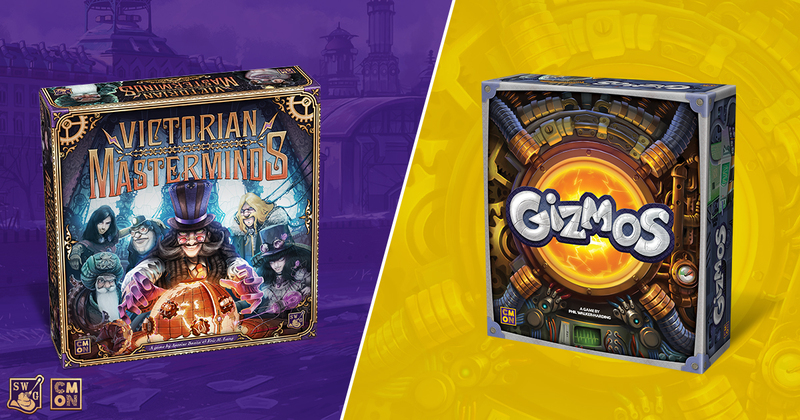 We’re excited and proud to announce that CMON has two of the five games that were awarded the prestigious Mensa Select Seal. We’re honored to have received this award. Our thanks to the judges and to everyone who has enjoyed these games. And we look forward to bringing you more exciting games with every release. Read the Mensa announcement here. Learn more about Victorian Masterminds here. Learn more about Gizmos here.